FAA is not eligible for interline. The Interliner may book 1 additional cabin at Interline rate, based on availability as long as the Interliner is traveling. Parents and Parents in Law of the employee may book 1 cabin at the Interline rate if the Interliner is NOT traveling. They may not have a separate cabin allotment if the Interliner is traveling. 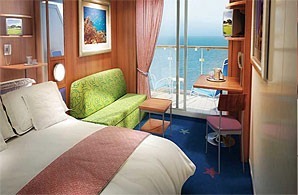 Retirees may book 1 cabin at the Interline rate. 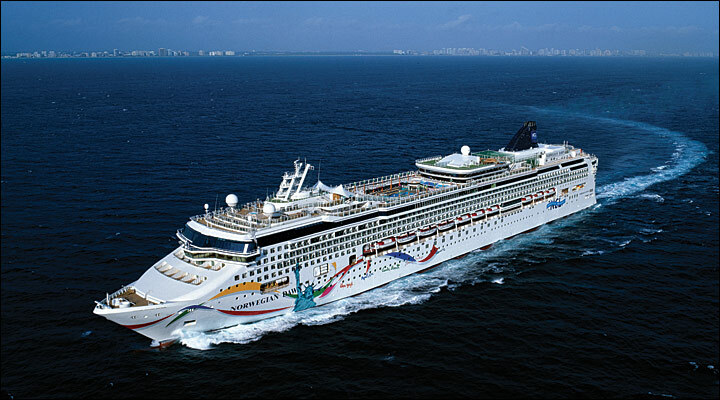 Norwegian Cruise Lines requires proof of Interline Rate Eligibility immediately upon confirmation of your booking. Without proof of qualified interline eligibility, Norwegian Cruise Lines reserves the right to automatically adjust the price to the applicable retail rate prior to departure. Extensively refurbished from top to bottom in 2016, Norwegian Dawn offers the ultimate Freestyle cruising experience. Upgrades range from renovations of existing spaces to the introduction of brand new venues. Enjoy Los Lobos, an upscale, authentic Mexican cantina and O’Sheehan’s Neighborhood Bar & Grill, serving up sports highlights (and pints) all night. Stroll over to The Cellars – A Michael Mondavi Family Wine Bar and then pop into Sugarcane for a refreshing mojito – or two. From top to bottom and from bow to stern, Norwegian Dawn has enough onboard activities to fill every minute of your cruise. Indulge in a refreshing swim, cocktail or ice cream treat at The Oasis Pool. Wanna get lucky? Bet it all at the award-winning Casinos at Sea. And when all is said and done, enjoy a pamper session at Mandara Spa. With so much to do, they’ll always keep you coming back for more. Serving a wide variety of culinary delights to please every palate, complimentary dining options include two main dining rooms, a help-yourself buffet and a variety of casual cafés, grills and on-the-go choices. With the Main Dining Rooms offering a menu that changes daily, Chef's Signature Dishes and carefully selected wine recommendations, you’re guaranteed a different culinary adventure with every visit. Looking to turn up the heat? Enjoy a night of gastronomic proportions at one of many specialty restaurants including Cagney’s Steakhouse, La Cucina, and Le Bistro. No matter what you choose, the specialty dining options feature the tastes you’ll crave. These Inside Staterooms are the most affordable way for you to cruise. With room for up to four, you'll have two lower beds that convert into a queen-size bed and additional bedding to accommodate up to two more guests. 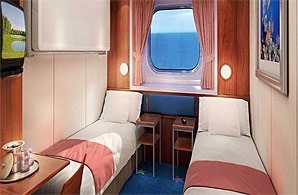 And of course you'll have access to room service and all kinds of other great amenities on board. Approx. Size: 142-174 sq. ft. 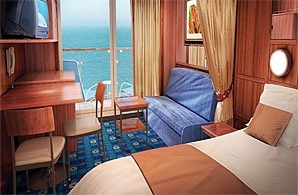 These Oceanview Staterooms have room for up to four guests, with two lower beds that convert into a queen-size bed and additional bedding to accommodate up to two more guests. You'll also have a big picture window (or porthole depending on category) to enjoy the amazing view. Approx. Size: 159 sq. 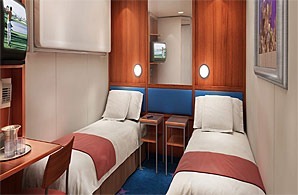 ft.
With room for up to three guests, these staterooms have two lower beds that convert into a queen-size bed and a pull out sofa to accommodate one more. Along with a sitting area, floor-to-ceiling glass doors and a private balcony with an amazing view. Approx. Size: 203 sq. ft. These Mini-Suites sleep up to four guests, include a sitting area, luxury bath with shower, two lower beds that convert into a queen-size bed and additional bedding to sleep two additional guests. Not to mention the private balcony with great view. Approx. Size: 283 sq. ft.